Y’all, meet Sarah! This beautiful bride just married her sweetheart Ryan last Saturday! 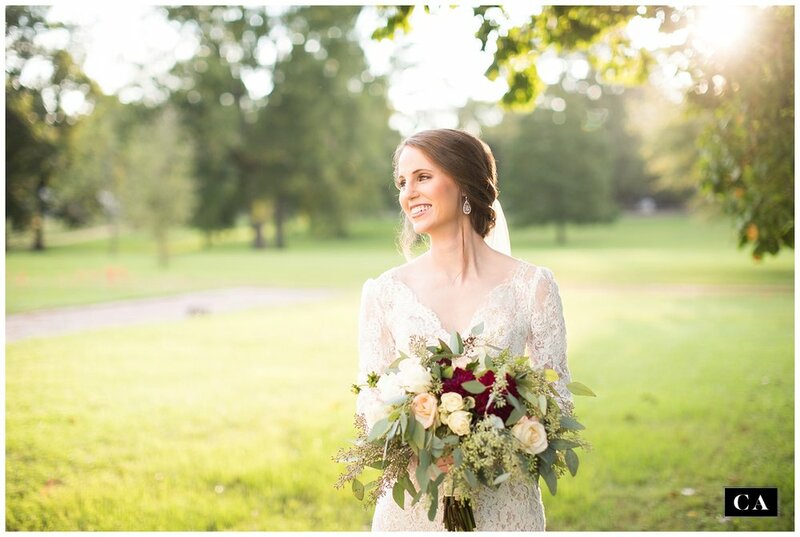 I’ll be sharing a little preview of their gorgeous October wedding before very long, but right now I’m DYING to show you some of my favorite images from Sarah’s bridal portrait session at Historic Rosedale Plantation in Columbus! 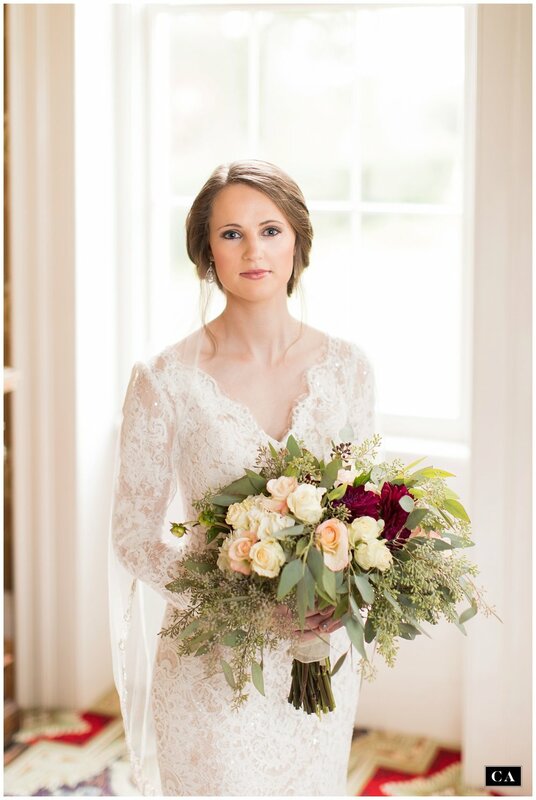 Sarah wanted a romantic, classic Southern feel to her portraits, and Rosedale Plantation was the PERFECT setting for her. Rosedale was built in 1856, and it is considered one of the finest examples of Italianate architecture in Mississippi! I call this home a “jewel box,” y’all, because every room is different, colorful, and filled with beautiful antiques. 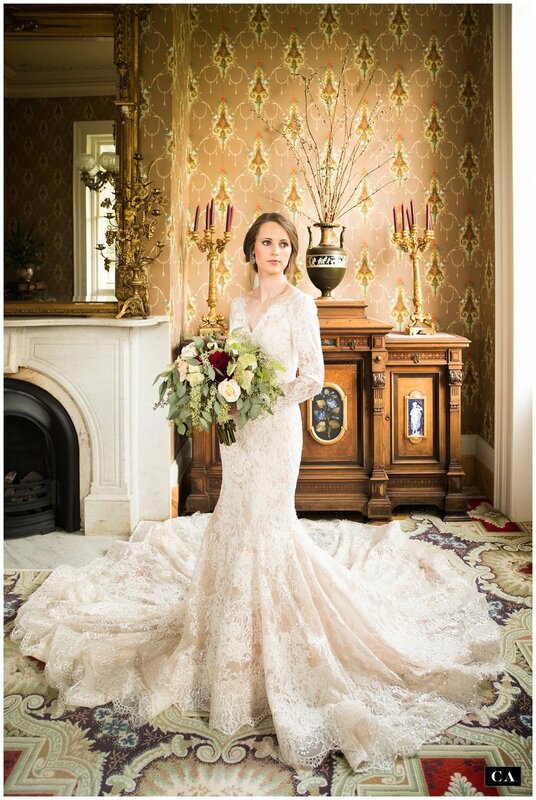 And if Rosedale is a jewel box, Sarah, in her gorgeous lace gown, sparkled like a diamond in every room! One of my favorite portrait spots at Rosedale is the lovely cupola room in the tower. It reminds me of a little room in a church. 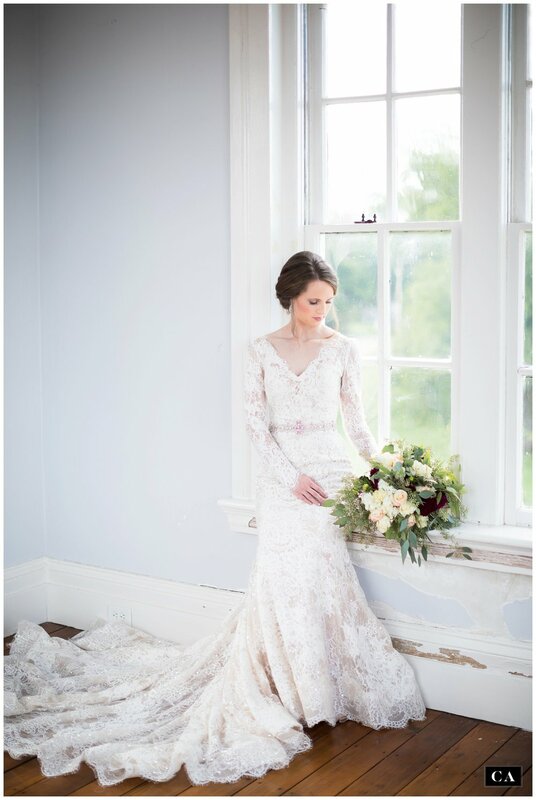 I get so excited when my brides treat themselves to a Bridal Portrait Session. 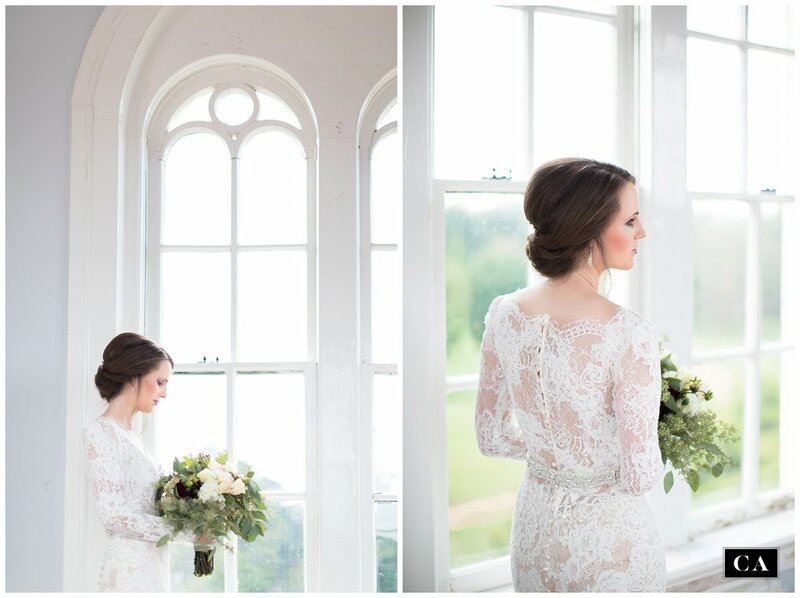 I think every bride-to-be deserves a special day set aside just for pampering and portraits! 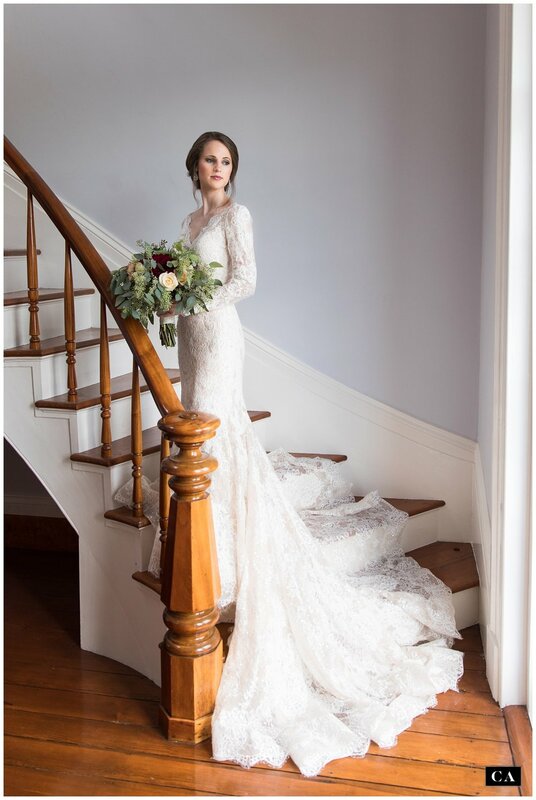 Like many brides, Sarah was SO busy the last few months before her wedding day, working, finishing her degree, planning a wedding… I knew her life had been a whirlwind! She brought along her sweet momma and sister for her session, and I was so glad that they could all spend that special time together. That’s another benefit of a bridal session - you can not only treat yourself, but you can make special memories with the people you love. So when you look at these portraits, remember that there was a momma and a sister looking on with misty eyes just outside of every frame! After we enjoyed the beautiful, airy light of the tower room, we went downstairs to one of the front parlors. I love every room at Rosedale, but this one is extra special. When you walk in this room, you make music! The little prisms on the lamps chime with every step! I fell in love with the soft window light, and I think Sarah fell in love with that deep red sofa! On our way outside for golden hour portraits, of course we had to pause in the beautiful doorway for a classic silhouette. And let’s just stop and admire all that lace, y’all. Do you see how it sparkles in her train? Didn’t I say she looked like a diamond? The grass was a little damp because it had rained earlier in the day, but we were brave (and super careful) and ventured outside anyway! And I am so glad we did! 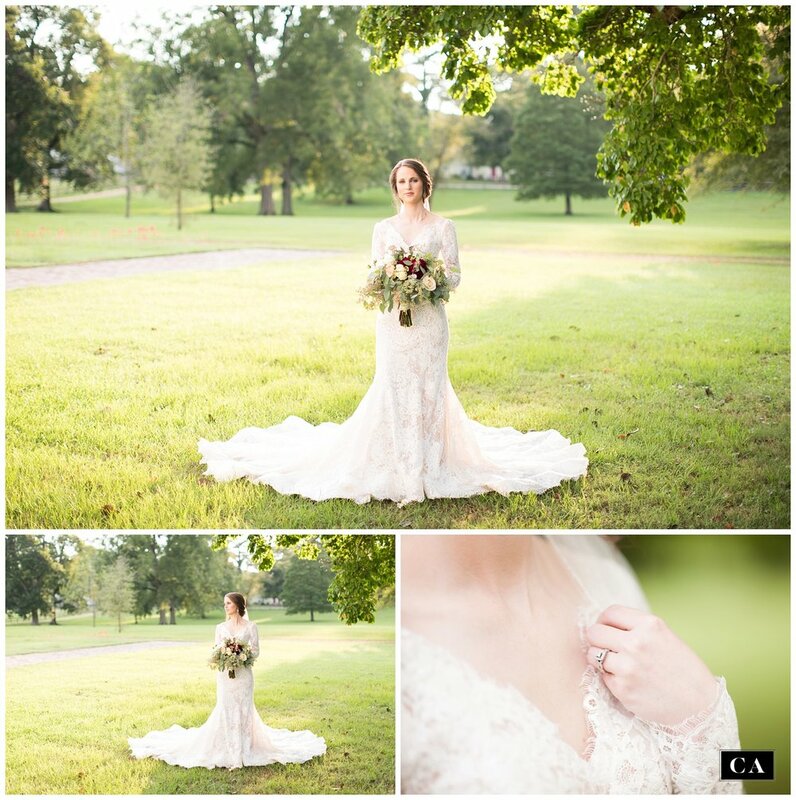 We finished Sarah’s sweet bridal session in a magical glow of warm late September light. It was such a lovely day, with a VERY lovely bride-to-be…. but just wait til you see her and Ryan’s wedding day! Keep an eye on my Facebook and Instagram accounts for more previews, coming soon!